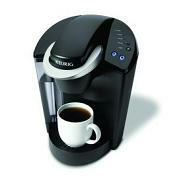 New sale on one of the top selling coffee making machines, the Keurig B40 Elite Gourmet Home-Brewing System. Normally 119$ it is 89$ + free shipping for the time being. Simple to use and creates great tasting coffee in a short period of time with a short brew cycle. No sense wasting money at a coffee shop for comparable coffee when you can custom-make your own from home simply and even faster than a store! 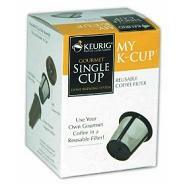 If you wish to stock up on Keurig My K-Cup Reusable Coffee Filters you should buy them with the Keurig Brewing System to save even more money.